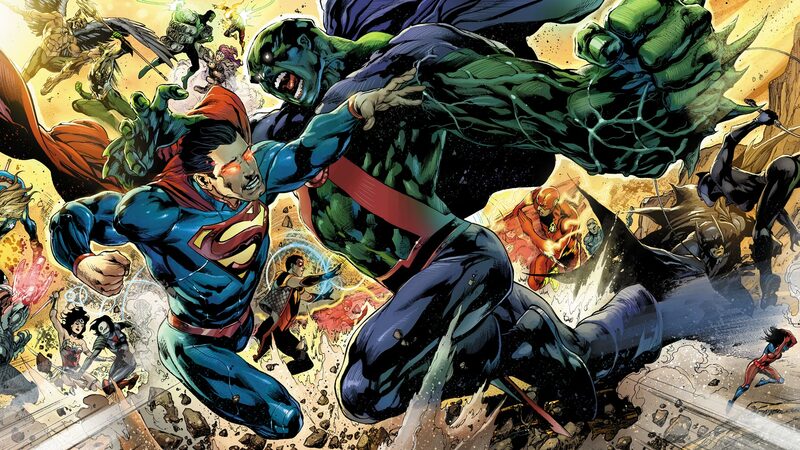 One of the last survivors of the civil war that ravaged his home planet of Mars, J'onn J'onnz traveled to Earth and now fights to protect his adoptive home. J’onn J’onzz of the planet Mars was accidentally transported to Earth, where he became one of its greatest champions under the moniker Martian Manhunter. Displaying a vast array of powers that can give even Superman a run for his money, the Martian Manhunter was a founding member of the Justice League of America, and has been a member of almost every incarnation of the League ever since. It has been said by many that J’onn J’onzz is the heart and soul of the League. One of the last surviving members of his species, the Martian Manhunter wields such powers as the ability to shape-shift, telepathy, flight, invisibility, phasing, super-strength and Martian vision. His only weakness in an inherent fear of fire, which all Martians have. All of these abilities make him one of the most powerful beings on the planet. But it is his brilliant mind and steady leadership style, along with his gentle soul, that have made him a beloved member of the League in all of its incarnations. Indeed, if there is one being whom the rest of the DC Super Hero community looks up to as their elder statesman and the voice of wisdom, it is the Manhunter from Mars. Although J’onn J’onzz suffered great tragedies in his long existence, including the deaths of his wife, their child and almost his entire race, the Martian Manhunter passionately defends Earth, fighting to make sure his adopted home planet never suffers the same fate as his beloved Mars. For more on Martian Manhunter's history, visit his page on DCUniverse.com.